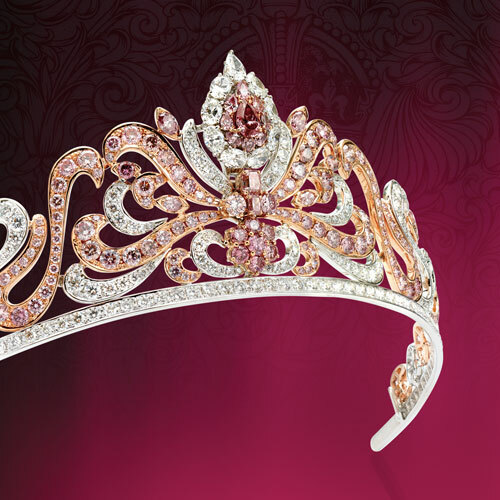 Pink argyle diamond tiara designed by the royal jeweler, Asprey of London. It is encrusted with 178 rare Argyle pink diamonds, making up almost 20 carats.The one-of-a-kind piece was designed by the Royal Jeweler, Asprey of London, and is encrusted with 178 rare Argyle pink diamonds, making up almost 20 carats. The piece recognizes the diamond jubilee of Queen Elizabeth II. Those of us who have dreamed of owning the 20-carat Argyle Pink Diamond Tiara can keep on dreaming. Australian jewelry retailer Linneys bought the rare jeweled piece of art. 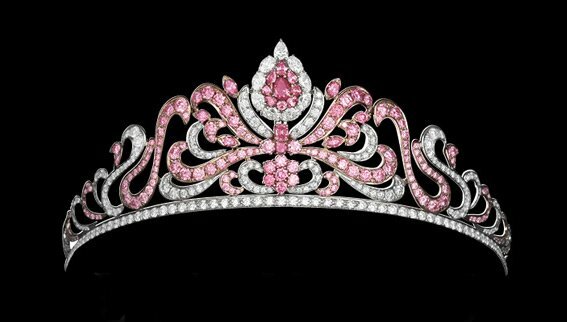 Designed by the Royal Jeweler Asprey of London a few years back, the Argyle tiara displays 178 rare Argyle pink diamonds. Diamonds found form within the Argyle mine in Australia are known to have the most vivid pink color saturation from any pink diamonds mined. One can imagine that of any jewels to be used when designing such a luxurious tiara, Argyle diamonds would be on the top of the list. 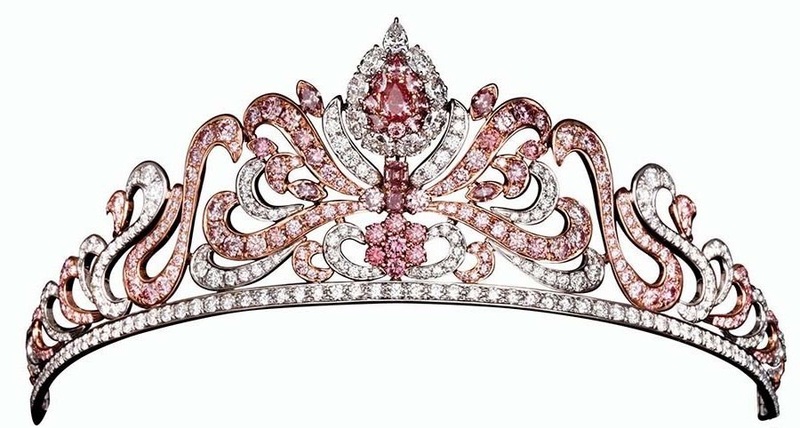 The tiara is one of the most significant pieces of pink diamond jewelry in history. The headpiece has managed to capture the past, present, and future in one magnificent item by combining traditional style with a modern day coveted stone, which might not be around for much longer. The center stone of this unbelievable piece of art is actually a detachable ring that can easily be removed from the tiara at any point. Meaning, even when it is not worn as a luxurious head piece, parts of it can still be admired and utilized as magnificent diamond jewelry.